Everyone loves it. It’s easy to prepare ahead. It’s more laid-back than a dinner party. And you can drink before noon. What’s not to like? 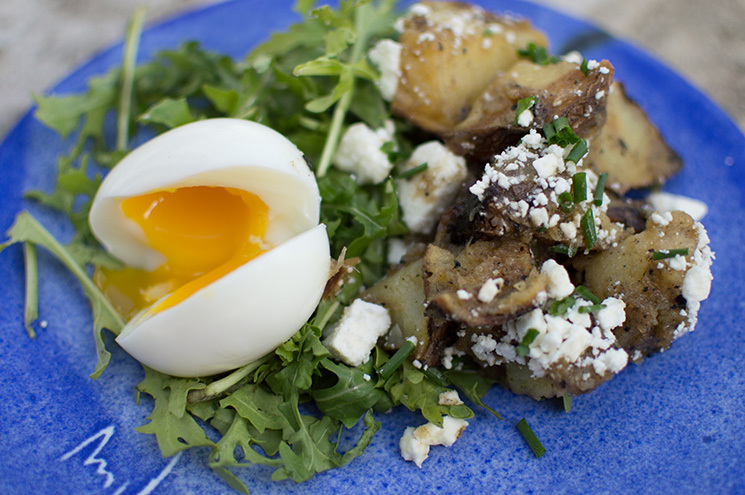 Potato salad is both a spring favorite and a brunch favorite of mine. And like I said, it’s nice to have things you can make ahead. 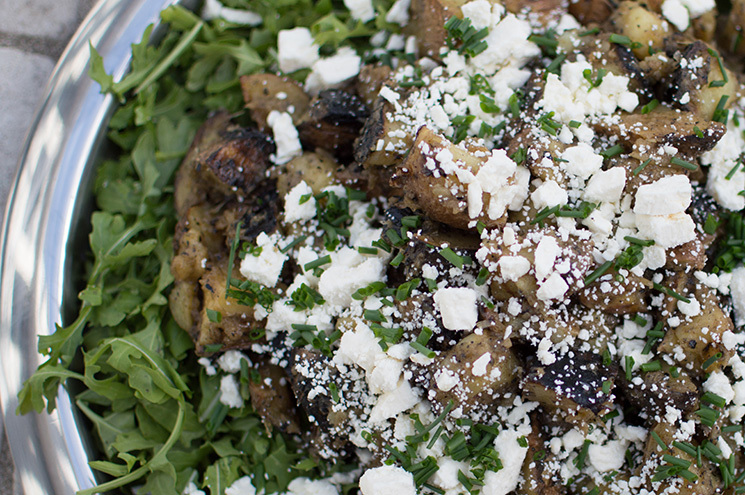 This grilled potato salad recipe is great warm, room temp or refrigerated. 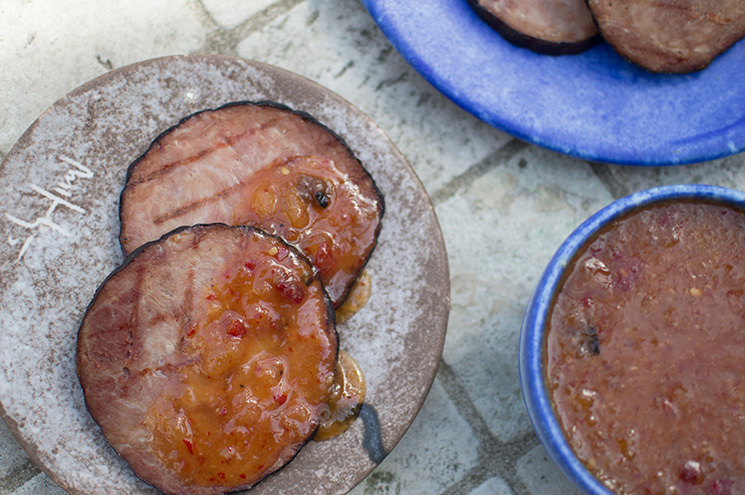 And if you want to heat up the leftovers, that works great too! Get the grill good and hot. Toss the potatoes and onion in enough olive oil to coat, then sprinkle with salt and toss again. 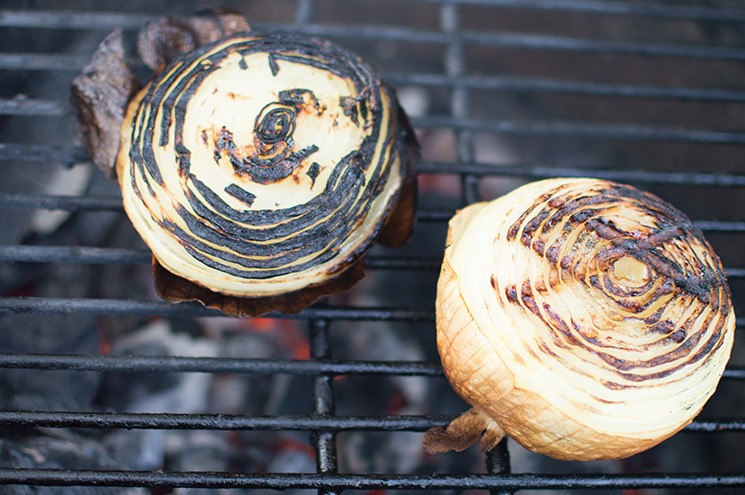 Grill onion, cut side down, until blackened, then turn over and continue to grill until blackened on bottom as well. Transfer to a cutting board and let cool. Grill potatoes, starting on high heat, making grill marks if desired, until a nice char forms. Turn onto peel side and reduce grill to about 325. Continue to cook until a paring knife inserted into center of largest potato comes out easily. Remove from grill and let cool while you make the vinaigrette. Once cool, cut potatoes into bite-sized pieces. Peel the onion and place in a blender. Add vinegar, salt and sugar and pulse until blended. Turn blender to low and stream in olive oil until combined. Pour over potatoes and toss to coat. Spread arugula out on a large tray. Spoon potatoes into center in a large mound. Top with feta and chives. Arrange eggs, intact, on arugula. 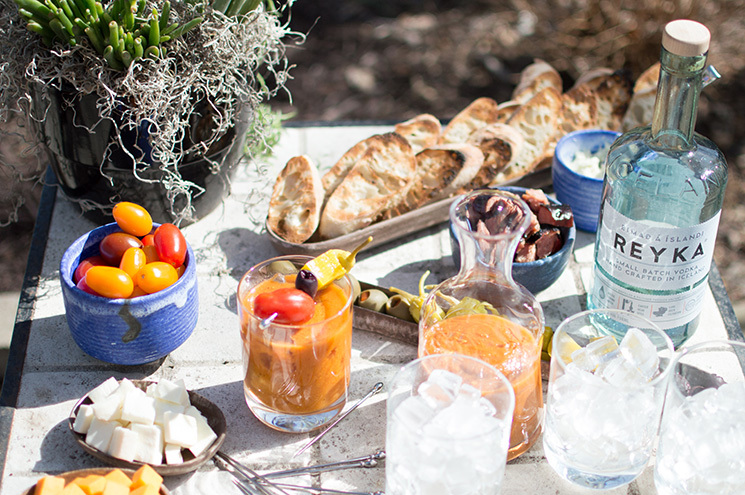 and a Bloody Mary Bar, of course!